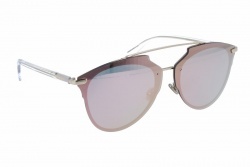 Sunglasses from Dior Reflected collection feature a pantos shape, but this time, it’s been renewed by playing with different materials to create a whole new frame concept, as we can see in model Dior Reflected 321 52 21. This collection specially targets modern women (and bold men too) that look for original designs but want to keep Dior distinctive elegant touch. 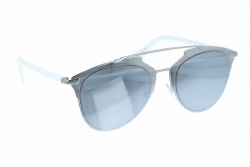 The frontal part is made of a galvanized metallic layer with the iconic double bridge from aviator style, whereas acetate was used for the temples. Every model’s lenses are available in different colour shades, as it’s usual with Dior eyewear, and they provide every frame with a glamourous style. 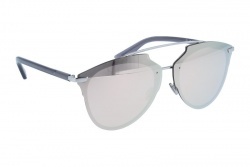 The new Dior Reflected are high-end original sunglasses, manufactured with first-quality materials, that set trends and introduce Dior’s new design line. 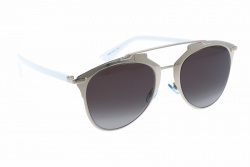 Modern elegance together with design and exclusiveness are the new referents of this brand-spanking new model. 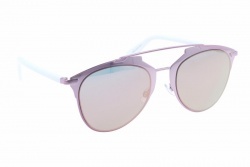 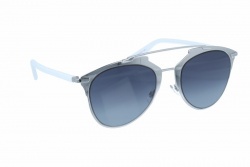 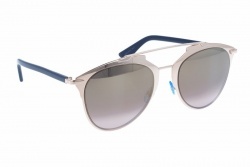 Of course, just like all lenses in Dior eyewear, Dior Reflected lenses provide 100% protection against UV radiaton.